With so much information available on the television, internet and in newspapers, it can overload your mind and confuse you even more about how to pursue what is often a life-long dream of owning a holiday home abroad. MASA International have been helping people from all over Europe to find their place in the sun on Spain’s warmest corner, the Costa Blanca for 38 years, and wanted to bring back the good old-fashioned one-to-one personal service. 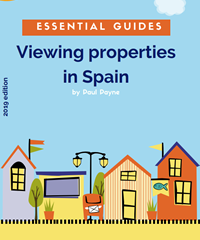 Come and join us for a Tapas & Spanish Property Chat with Paul Payne, our most experienced Spanish property expert in the UK, who has helped thousands of families to find their dream property in Spain. Fill in the following form and we will be in touch! Note that fields marked with an asterisk* are mandatory. We value your privacy and won't share your details with third parties.